Focus on what matters—what interests you most about a person’s background and any potential red flags. 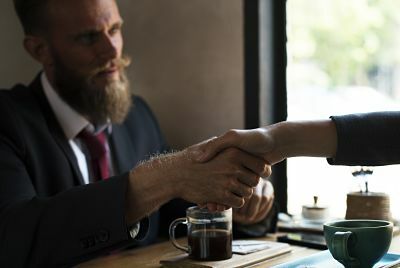 If the candidate has held several positions, but there is one in particular that sticks out at being especially relevant to the position you are hiring for - delve in to that role more deeply - tailor your questions to that role – eg: I see you worked at “A Company” for three years, and you managed a team of 12. Tell me, what’s one project or task there that you led that you’re really proud of, and why? Also on the same note if there has been a cycle of shorter term jobs be sure to find out what the motivations were for moving – you don’t want to spend the time training in someone who ends up cycling out after 12 months or so. This is an opportunity to address anything that might be an issue with regards to the candidates longevity. Were they just contract roles, or is there some other underlying issue. Be honest and clear about what you are really looking for in a candidate. What do you need in this person - do they need to be a leader or be able to take orders. Is communication a key element or do you need someone who can work autonomously? Once you have keyed your main needs and wants then you can tailor your interview questions accordingly. Say this role will involve tight timelines working with a range of personalities and management levels, you might tailor your questions to cover examples of times they have had to work with difficult personalities and successfully dealt with the situation at a stressful time – this will give you key insight in to how they will react if a similar situation arises in the current role. Many candidates list a multitude of skills on their resumes, but I am sure like many before you, you have looked at the cv and seen a skillset and make the (unfortunate) assumption that this means they have the skills you are looking for and will be able to start the job with little training required. This has caught many a hiring manager out. Remember your interpretation of what it means to have a skill could be very different to their interpretation of the same skill. Take the time to delve in to what the skill level is that you require for the role and ask the candidate to assess out of 10 what they perceive their skill level to be. This can be followed up then with a question asking them to explain how they have or had executed something related to that skill. This will very quickly clarify for you as to whether your perception and their perception of a skill and experience are the same. It is often too tempting to interject or add your own “2 cents” to what they are saying and more often than not you end up missing the background and story of that candidate, what they do, and how they got to where they are – sometimes this can be some of the most interesting information for a manager - jobs, dates and skills give the framework to a candidate, but the gaps in between that lead to these changes can often be the most insightful. It’s very easy to fall in to the trap of asking closed questions or frame questions in a way that the candidate will answer the way you want them to, but only by asking open questions will we be able to get a full view and understanding of that candidate, their skills and personality.